The Danube River is the second longest river in Europe and the longest in the European Union. The Danube can therefore be considered as a symbol of the integration of Europe and the joining of the Danube countries, including Slovakia. 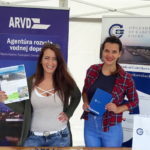 On Saturday, June 23, 2018, the professional and lay public at Gabčíkovo Dams remembered the International Danube Day by the event „Danube Day 2018“, which was organized by the state enterprises Vodohospodárska výstavba and Slovenský vodohospodársky podnik. 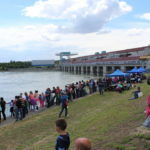 The „Danube Day 2018“ event was held under the auspices of The Minister of the Enviroment of Slovak Republic – László Sólymos. Visitors from various corners of the Slovak and Czech Republic were also acquainted with the project „Upgrade of Gabčíkovo locks“. 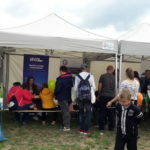 Various games and gifts were prepared for the children in the project stand, and their parents could test their knowledge in the quiz about the Danube river. 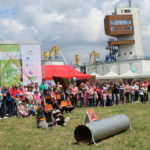 During the event, all visitors could enjoy excursions in the Gabčíkovo Hydro Power Plant, sightseeing trips by Danube cruise ships, inflatable attractions, archery, virtual kayaking, a rescue event demonstration, and a foam show. As part of the program, the singer Emma Drobná performed as well as children dance group from DFS Juránek with the Jurajka cimbal music. The event ended with a raffle of valuable prizes. 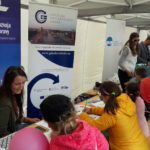 The day before, on the 22nd of June 2018, an environmental event was held on the occasion of the International Danube Day in the building of the Ministry of the Environment of the Slovak Republic. 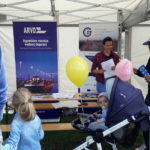 Projects „Upgrade of Gabčíkovo locks“ and „DaReM – Danube Rehabilitation Measures“ were also presented at this event. Approximately 180 children from the Bratislava primary schools were involved in the event. The international Danube Day was launched in 2004 by the International Commission for the Protection of the Danube (ICPDR), based in Vienna, on the occasion of the 10th anniversary of the signing of the Convention on Cooperation for the Protection and Permanent Use of the Danube. The objective of the Convention is to contribute through the cooperation of all countries in the Danube basin to improve water quality. This day is a celebration of a cleaner and safer river to highlight the importance of protecting a natural resource. On this occasion, various public events are organized, which are rich in activities for children, youth and the general public.